It has been a quite a while since i have blogged. We took a fabulous vacation to Mexico and it was so wonderful to see the sun, feel the heat and hear the ocean waves crashing! I am back to reality with another blizzard on its way and the only thing I hear crashing around here are the pots and pans that my son is currently tossing in my kitchen! 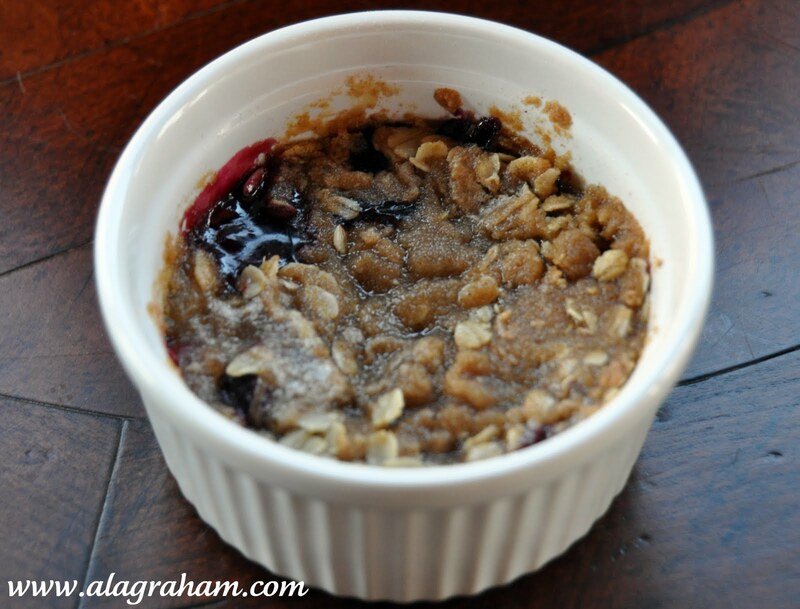 Here is a quick and easy breakfast (I guess it could be considered dessert!) that we enjoyed. Note: I used mixed berries: strawberries, blueberries and Raspberries, eliminated cornstarch, used cinnamon, and only 2 ounces butter. Make the streusel topping: Whisk together the flour, sugar, salt, cinnamon and almonds in a medium mixing bowl. Add the butter and use your fingers to lightly knead it into the dry ingredients until the mixture is crumbly and the butter is well incorporated as the streusel. Combine the frozen berries, sugar, cornstarch (if using) and 1/2 cup of the streusel topping in a medium mixing bowl. Divide the mixture evenly between 4 (8-ounce) coffee mugs or ramekins. 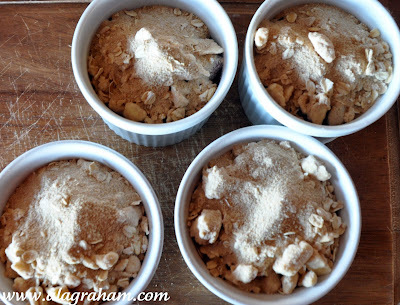 Top each dish with 1/2 cup of the streusel topping. Put the ramekins on a half sheet pan and bake on the middle rack of the oven until the fruit is bubbling and the topping is browned, about 30 to 35 minutes. Cool the crisps for 15 minutes before serving. 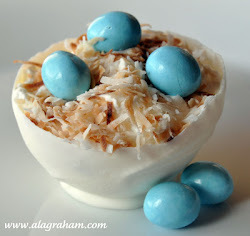 i think i'll make this tomorrow! i love when you have recipes of things that i already have in my kitchen!! i'm glad to hear you had a wonderful, warm break in mexico! I hope you had a fabulous time in Mexico. Sounds like a wonderful escape from the cold. 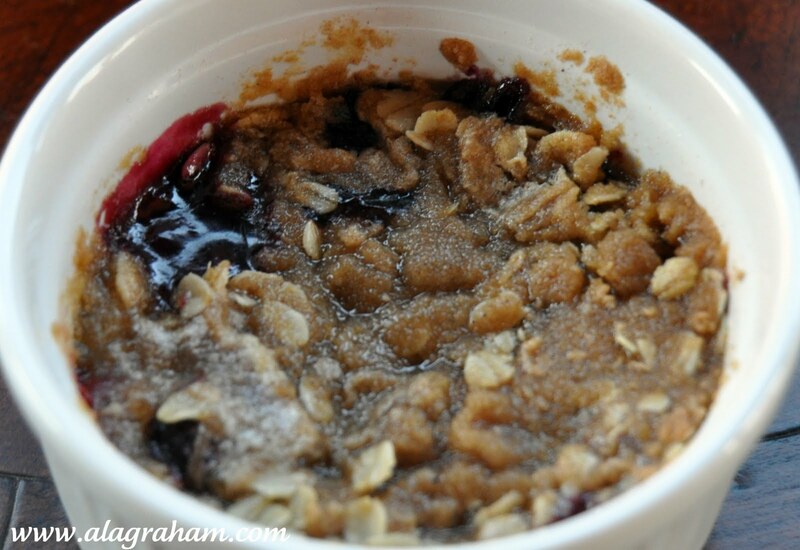 The berry crisp look wonderful. I'm voting them healthy enough for breakfast. LOL! 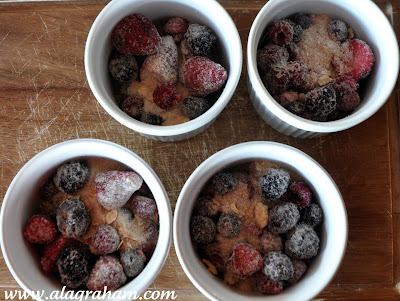 Its berry-licious and easy to prepare! Fruity and nutty perfected with cinnamon aroma, this would certainly get me out of my bed. Good for you skin to have those soaked under the sun, how i long for the spring. It must have been lovely in Mexico with the sun and warmth! Something we haven't been seeing a lot of up here. I could eat your berry crisps for breakfast and dessert! What a great change from my usual oatmeal!